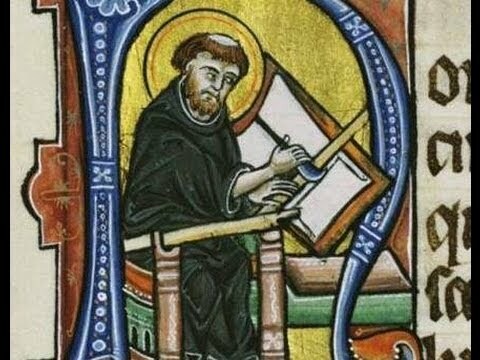 Joanna Wilkins’ talk about medieval life in the era of the Battle of Lewes will be illustrated by the remarkably elaborate images to be found in the illuminated manuscripts of the period, most of which were the work of monastic specialists. Many of the pictures on which her talk is based come from two specific manuscripts that were both commissioned by members of the De Warrenne family whose power base was Lewes Castle. Joanna is an Education Officer for the Sussex Archaeological Society, and this will be her fourth talk to our History Group about different aspects of medieval history – she has previously spoken to us about Anne of Cleves, William and Gundrada De Warenne (the Bill and Melinda Gates of their day) and making medieval meals. This year’s Lewes Heritage Open Days, arranged by the Friends of Lewes, run from Thursday 7 September to Sunday 10 September. There are 18 properties in the town that will be opening their doors for one or all of the open days but beware – for some venues, such as Lewes Prison and Lewes Town Hall, pre-booking is essential. Where pre-booking is required the deadline is usually 4 September, but 1 September for the prison. This year’s Lewes History Group contribution is the Screen Stories exhibition about the history of cinema in Lewes at the Depot Cinema, Pinwell Road. 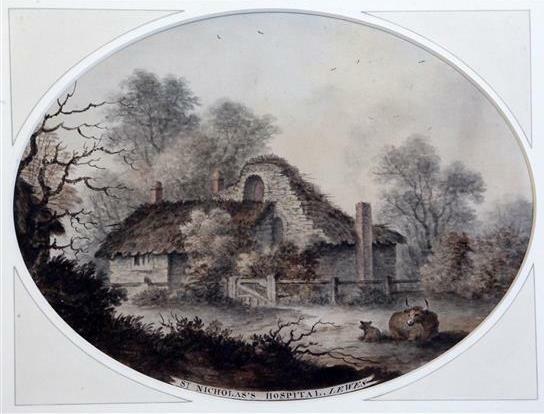 A set of four watercolours by James Lambert junior (1741-1799), all dating from 1779, were offered for sale by Gorringe’s at their weekly auction in June 2017. Each watercolour was in an oval mount. The original of this photograph belongs to Joyce Wheeler, now 93, whose grandfather William Herbert Gibb (1870-1945) worked from leaving school until retirement for the Lewes grocer T.G. Roberts. Both Thomas George Roberts (1849-1937), a baker’s son, and his wife Sarah Elizabeth Francis (1851-1900) were from Ridgmont, Bedfordshire, where they married at the Baptist chapel in 1875. At his marriage Thomas G. Roberts was already of Lewes, and their eldest daughter was born in Lewes in 1877. T.G. Roberts was listed in an 1878 local directory as a grocer and provision merchant based at 45-46 High Street (now occupied by the Shoe gallery and Cheese Please). In 1881 the Roberts lived over the High Street shop but by 1891 the family, with at least six children, had moved to live at 24 St Anne’s Crescent, and they were still there in the 1930s. Mrs Sarah Roberts died in 1900, aged 49, but by that date there were daughters old enough to manage a household, and Thomas Roberts’ sister was also drafted in to help. The business was now based at both 45-46 High Street and the Western House Supply Stores, 28 Western Road, which is in St Anne’s parish, which fits with the lettering on the van. It remained active at both locations until after T.G. Roberts’ death. Its eventual take over by a London firm was noted in the 21 December 1945 Sussex Express. In the 1890s T.G. 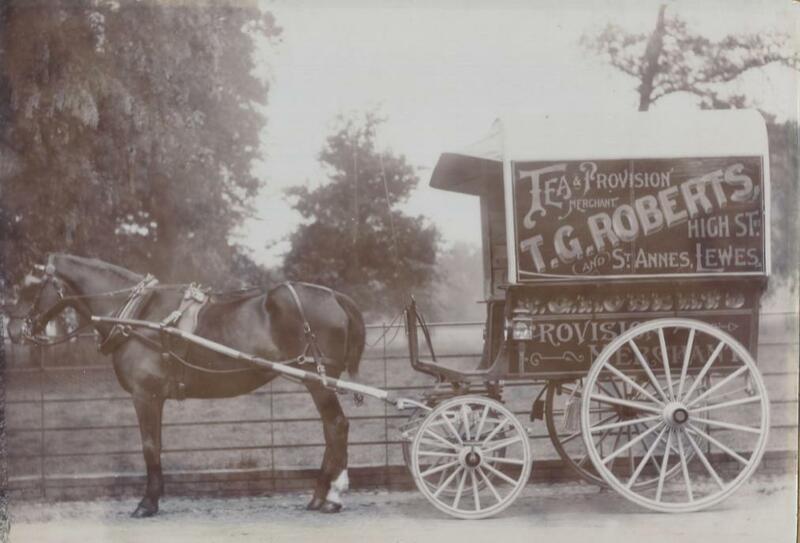 Roberts was also simultaneously proprietor of another similar business (Tea & Provision Merchant) in George Street, Luton. Thomas George Roberts was Mayor of Lewes from 1913-1915. In the 1891 & 1901 censuses William Herbert Gibb, a native of Lewes, lived with his wife and children in Little East Street. He gave his occupation as ‘grocer’s assistant’ in 1891, but in 1901 & 1911 he was a ‘grocer’s porter’. All such businesses delivered orders to households in the town and nearby villages. The 26 February 1915 Sussex Express reports a case in which William Herbert Gibb of North Street, grocer’s porter to Councillor T.G. Roberts, Mayor of Lewes, gave evidence about the theft of two eggs from his horse and van in Glynde. He lived at 7 North Street in the 1920s and 1930s. David Simkin thought the photograph above to date from the Edwardian era, and noted that at that time the Lewes photographer James Cheetham also lived in St Anne’s Crescent, so was a near neighbour. Mary Shergold, the daughter of Samuel Shergold and his wife Mary, was born in London and baptised at St Andrew’s, Holborn, on 10 November 1798. She died 104 years later at her residence at 105 Landsdowne Place, Hove, in May 1903. The 23 May 1903 Sussex Express, recording her death, noted that she had spent many of those years in Lewes. She has the remarkable distinction of having lived through the entire 19th century. Mary Shergold’s mother, born Mary Blackman, was a daughter of the Lewes wine, coal and timber merchant Henry Blackman (1744-1832), who from 1769 traded from the Bridgefoot wharf now occupied by the Riverside Centre, He also owned another wharf on the Cliffe side of the river, now occupied by Harveys Brewery. He was an ardent Whig, and in 1782 as constable of Lewes he presented to King George III a loyal address from the borough thanking him for replacing the Tory administration of Lord North by Viscount Rockingham’s Whigs. He was knighted on the spot by the grateful monarch. Sir Henry Blackman’s only son, another Henry Blackman (1775-1856), was educated at Eton and Gray’s Inn, but in 1804 joined his father’s business, paying £10,000 (generated by the sale of the Cliffe wharf and its houses) to displace his father’s previous partner. Henry Blackman retired from this business in 1833, shortly after his father’s death, and moved from the house at Bridgefoot wharf to 219 High Street, where W.H. Smith is today. 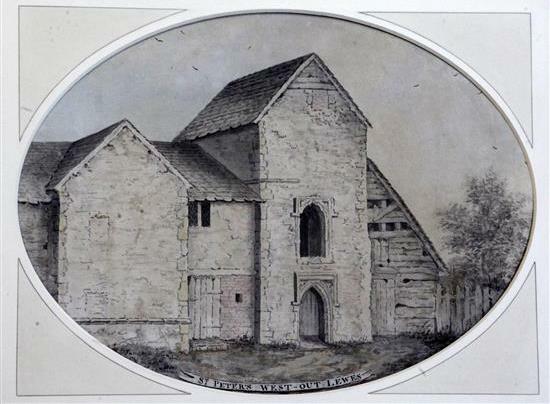 Sir Henry Blackman’s daughter Mary married Samuel Shergold at All Saints church on 12 February 1795. He was the son of another Samuel Shergold, who moved from Lewes to Brighton and in 1756 established the resort’s first Assembly Rooms at the Castle Inn, by the Steine. 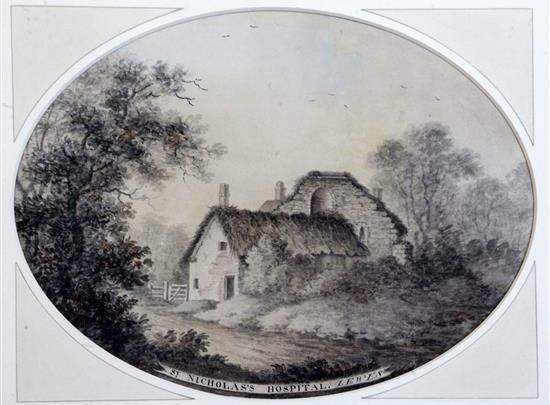 This entrepreneurial investment, made less than three years after Dr Richard Russell established his first house there for his patients taking his sea bathing cure, proved a goldmine, and by the 1790s Shergold had become a banker, a partner in both the Brighthelmston and Horsham banks. Samuel & Mary Shergold had three daughters, Jane, Mary and Susan. 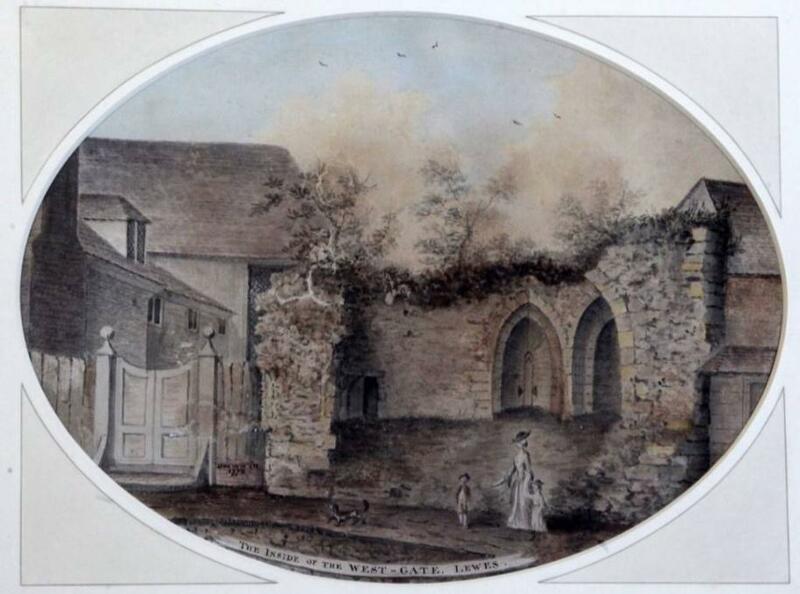 Jane and Mary were baptised in London in 1795 and 1798, but Susan was baptised at Lewes All Saints in 1801. None of the three ever married. The younger Henry Blackman never married either, and the 1841 census finds him at 219 High Street with his three nieces, Jane, Mary and Susan Shergold. Jane died in 1843 and was buried at Lewes All Saints. The others were still there in 1851. When Henry Blackman died in 1856 he made his two remaining nieces his heirs. Mary and Susan Shergold remained at 219 High Street in 1861, but in 1864 their house was demolished to make the space needed for the new Lewes to Uckfield railway line to cross the High Street. It was probably at this date that they moved to Hove. When Susan Shergold died in 1873 she was replaced at Lansdowne Place by a younger cousin, who was still living with Mary Shergold at her death in 1903. There were, of course, the usual servants to ensure the household ran smoothly. Well-documented centenarians were extremely rare in this era. A comfortable lifestyle and avoiding the stresses of marriage and childbirth doubtless helped, but good genetics make an important contribution to longevity. Mary Shergold’s Blackman uncle and grandfather both lived into their 80s. Sources: Family reconstitution, Colin & Judy Brent’s Lewes & Cliffe tenement analysis, Sue Berry’s article in Sussex Archaeological Collections vol.140, pp.97-112 and local newspaper reports in the British Newspaper Archive. For some years the Lewes auctioneers Verrall & Son held regular auctions at the ‘Star Door’. One such auction was advertised in the Sussex Weekly Advertiser as to be held at 4 p.m. on the afternoon of Friday 6 May 1814. The items for sale included, listed between all the dairy utensils of the Goat Farm, near Lewes, and a very handsome single horse chaise and harness: “A shower bath, on iron wheels, little inferior to new”. The origins of this Lewes institution can be traced back to the Great Exhibition of 1851 that drew attention to the central role of art and design in the success of the manufacturing industries of Victorian England. 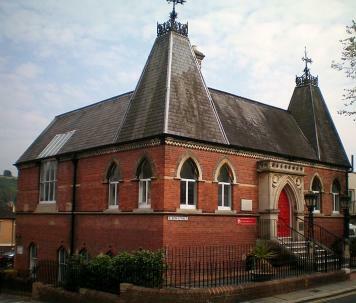 In 1868 a Lewes and East Sussex Industrial and Fine Art Exhibition was held in County Hall, and soon afterwards a Lewes School of Science and Art Committee established an art class held in the Fitzroy Library. One can see at once the practical significance of such training for such local manufacturers as the Every’s Ironworks. In 1872 a plot of land was purchased at the junction of Albion Street and East Street, and £2,000 was raised from patrons and fund-raising activities to build a new school building to the design of local architect and stonemason John Latter Parsons. From 1874 classes were offered there in such subjects as drawing, painting, geometry, perspective, and building construction and design. Photographer Edward John Bedford was a pupil teacher at the school in 1881 and its principal from 1915 until it closed in 1932. He then became curator of the Lewes Borough Museum when it moved to these premises from the Market Tower in 1934, retiring in 1950. The building later added a rather functional extension, of which I suspect its founders might not have approved, to become the Lewes Library. After the new library in Friars Walk was built it served as the home and office of the M.P. for Lewes, Norman Baker, and is now a private residence. Source: Brigid Chapman, ‘The Schools of Lewes’. In October 1927 newspapers across the country carried the news that Sir Frank Sanderson, baronet and Conservative MP for Darwen, had plunged fully clothed into the Pells in an attempt to rescue a drowning child. Alfred Reginald Tillstone of Spring Gardens, aged almost three, had been playing out with some friends in the middle of the afternoon when he fell into the water. One of his playmates ran to the boy’s mother, and she called to Sir Frank who happened to be passing. The little boy was brought to the bank, but despite artificial respiration, and Sir Frank driving him in his car to the Victoria Hospital, he did not survive. Sir Frank Sanderson (1880-1965) came from a Hull family involved in the shipping business, but during the Great War did sterling work for the Ministry of Munitions. He was created a baronet in 1920 in recognition of this work, and came to live at Malling Deanery. Darwen was a marginal seat, and he was in and out of Parliament in the 1920s, but from 1931 to his retirement in 1950 he represented much safer Ealing constituencies. This entry was posted in Art & Architectural History, Biographical Literature, Economic History, Education History, Family History, Lewes, Local History, Social History. Bookmark the permalink.